Story about religious terrorism and conspiracy of taking over the world by people who claim to be descendants of Gods. The story also establishes the belief that Jesus died in Kashmir. There is a shrine named Rozabal from where the novel is inspired. 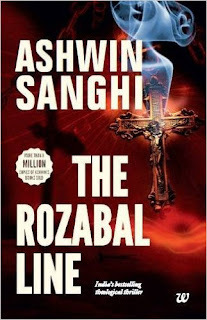 Since the time the novel was published, there has been a huge upsurge of visitors to the Rozabal shrine in Srinagar as reported by the Indian newspapers. The story is gripping and quite different from any theological thriller. The background changes from a library in London to desert in Afghan and church in Goa to India-Pakistan border. Story revolves around an American priest who gets visions and is convinced to find out the relationship of his visions with his past life. The whole truth digging activity leads to a revelation of shocking facts connected to reincarnations, terrorism and Jesus! This is Ashwin’s first book which was commercially not successful but critically acclaimed! This page turner tops my list of favorites. Fast paced and so well detailed, you would be intrigued to read till the end. It can even change the belief of many religious schools of thoughts. I loved this brilliant work. Indian author based out of New York usually writes about Indians who settle abroad. She brings about their struggle, their culture shock, their isolated lives and the way they take their culture along to connect with people. This book has various stories of Indian characters who come in touch with people abroad or come to tour India. Different stories, various emotions, a blend of gloomy as well as punch of humor in places. Every story will leave you emotionally high. There is romance, there is old age love, there is betrayal, there is sadness, there is every spice of life. The stories are not thrillers or fast paced. But they bring out the emotional aspects of life beautifully. Jhumpa Lahiri is my personal favorite and this books ranks second in my reading list of 2016. This book received strong criticism from all readers calling it a bad read. 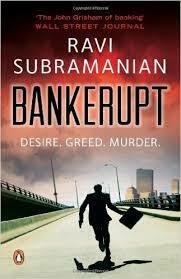 Bankerput was my first pick from Subramanian's collection. What a brilliant piece this was! The story revolves around the protagonists Cririsha Narayanan, a professor at MIT Boston and Aditya Raisinghania, her banker husband. 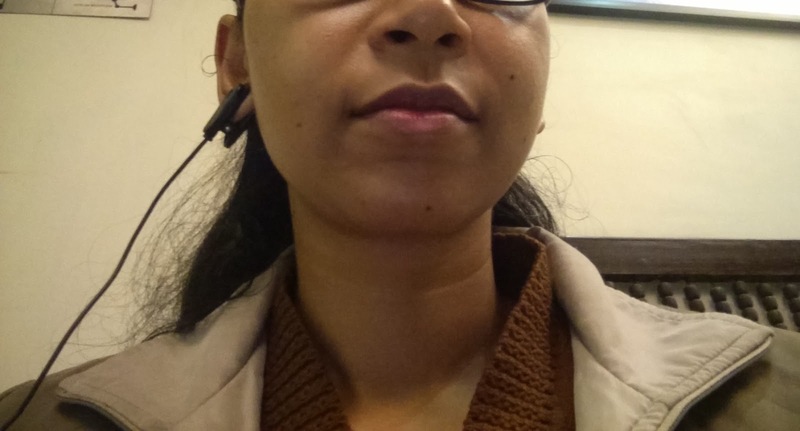 Cirisha and Aditya meet during a unique business deal. They both get married after some time but do not settle as a normal couple. 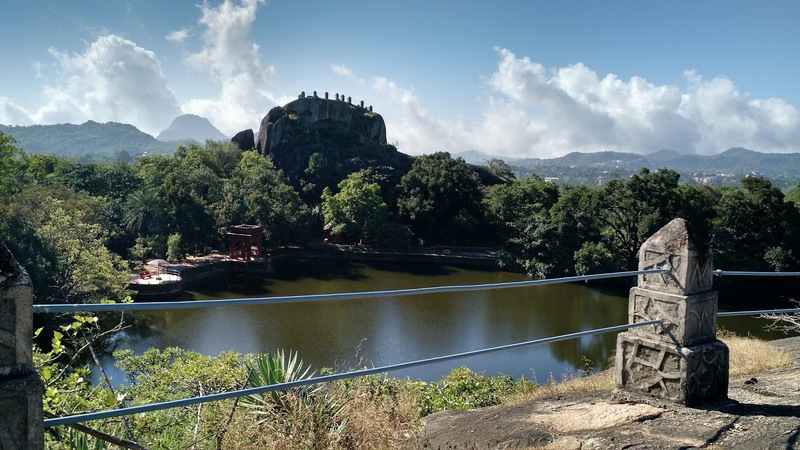 Aditya stays in India while Cirisha goes back to her university in Boston. Aditya strikes an innovative business deal to help his father in law and gradually rises the corporate ladder. Shuttling between career and family, Cirisha struggles to settle her married life, often causing frustration to Aditya. While Aditya gets pulled into a financial scam, Cirisha stumbles upon a cryptic message, which is apparently the key to a larger scam. As the U.S elections inch closer, the debate on gun control gains momentum. Under strange circumstances, a series of life threatening events related to MIT Boston and the gun law happen that leaves everybody shocked. The plot is super thrilling. The books kept me at the edge of my seat. 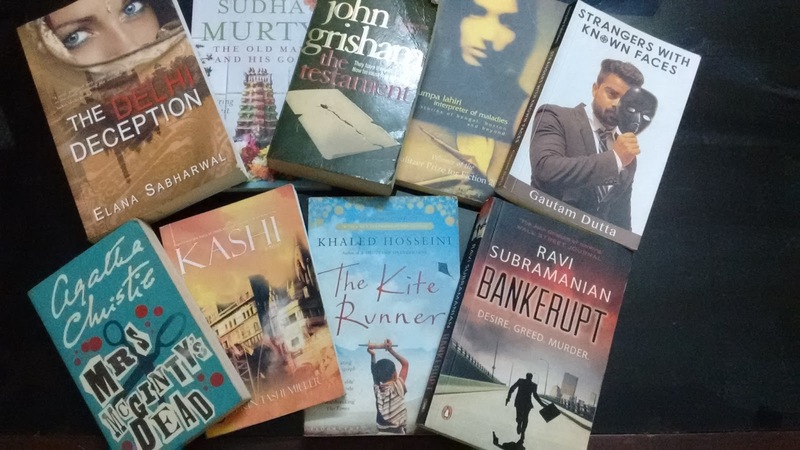 The racy thriller kept me glued to it, asking for more! A banker by profession, Subramanian has written popular thrillers about banking and bankers, including award winning trilogy The Incredible Banker, The Bankster and Bankerupt. Bankerupt got my attention and gets a happy third place in my reading list! 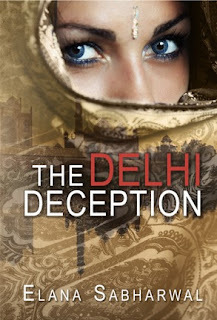 Carla, an American Journalist comes to stay with her friend Elouise in Delhi after being cheated upon by her husband. 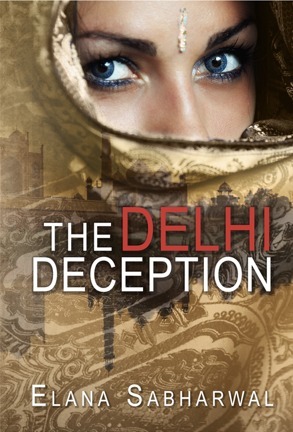 Nursing her hurt, she diverts her attention to exploring Delhi and the Indian culture. She is carried away by George, a charming gentleman in the neighborhood, in-spite of warnings from Elousie. Carla struggles to forget her husband and continues to meet her new found love until one fine day she is kidnapped, only to be rescued by George. This incident draws them closer and there she finds herself neck deep in a conspiracy. Together with Elousie, they embark upon a journey to dig out the truth behind the hidden facts. 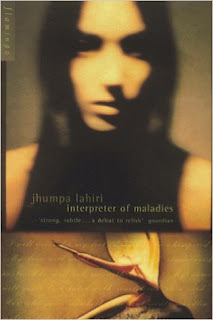 Quick paced and easy language, this book has Indian background that one can easily relate to. The characters are strong and close to real which offers a good credibility to the story. It is a light read and you can finish it in three-four days. The plot is not too intense but still manages to engross you. This found the fourth place in my reading list. the first chapter to the last, the book is full of grief and pain! Though this is an overwhelmingly touching book, it does not end on a happy note. Your mind goes deep into the sad story empathizing with the characters who have very harsh times. This is the story of Amir, a young boy from Kabul, whose closest friend is Hassan, his father's young Hazara servant. The best buddies were like brothers. Amir developed a complex from Haasan and left the country with his father after the fall of Afghan monarchy. Guilty and ashamed, the two see tough times while trying to evade their country. Amir grows up in the US, at times thinking of his loyal friend Hassan. Years later he comes back in search of Hassan and to meet his father's loyal friends who had always helped them. Amir finds out the ugly truth. The entire novel is quite disturbing. From child abuse to Taliban rule, every incident sends shock down your spine. This book became a bestseller for Hosseini and sold over 7 million copies in the U.S. 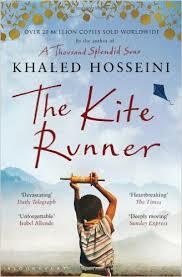 The Kite Runner is a-not-to-be missed literary piece of work! Every tired mind & body needs a break, and there is nothing better than a stress relieving spa. 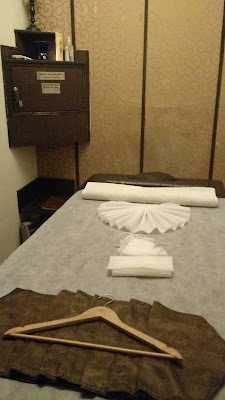 If the spa is inspired from the wisdom of Ayurveda, that adds more authenticity and excitement to the whole experience. 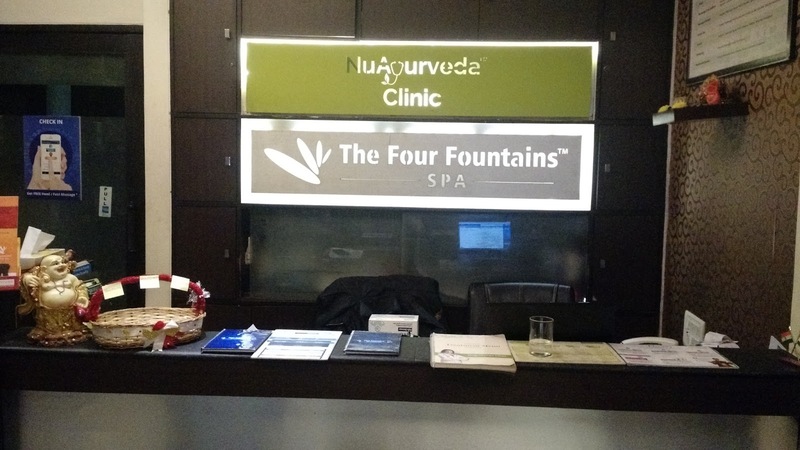 Here I talk about NuAyurveda Clinic, a sister concern of The Four Fountain Spa in Super Mart 1, Gurgaon. 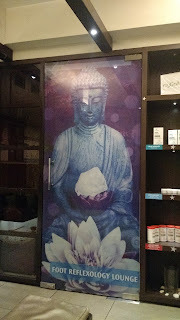 I have been to Four Fountain Spa in the South Ex branch and know the brand really well. 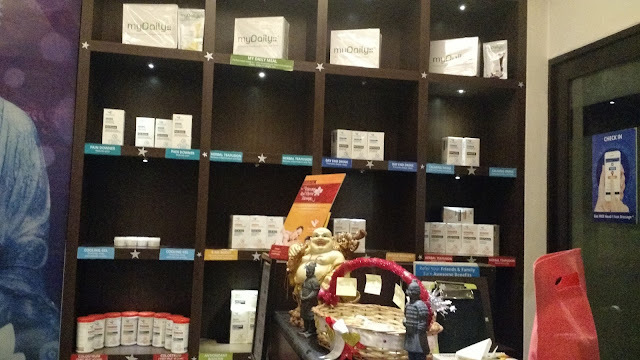 Their venture with NuAyurveda was new to me. The moment you enter the premises, the zesty aroma of lemon grass greets your nose followed by a warm smile of Rohit, the center manager. The Buddha's image of the foot reflexology lounge also draws your attention! As he runs you through the therapies available, you would be directed to meet the consultant doctor Dr. Irshad who specializes in Ayurveda school of medicine. A detailed and enlightening discussion on Kapha, Pitta, Vita, he suggested me Abhyangam, a massage to relieve stress, improve sleep disorders and pain in body. The well trained and professional therapists Linni and Asha ushered me to the therapy room. Well lit, tangy aroma, and soft music instantly lifted my mood! Lights were turned off, with the only light from bathroom beaming into the room. 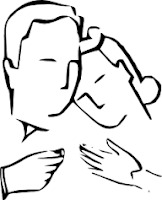 The veteran therapists began the process by rubbing warm medicated oil starting from ear lobes. 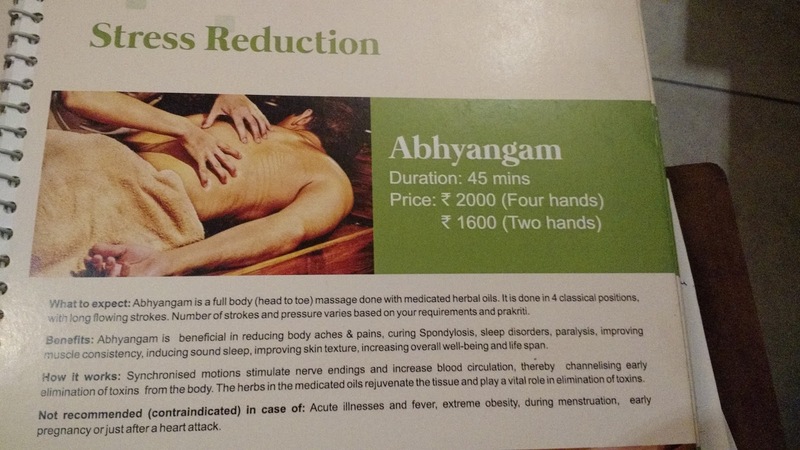 Abhyangam is done in 4 classic positions with long flowing strokes. Linny and Asha’s hands were in sync, moving in perfect unison. The synchronized motions stimulate nerve ending sand increase blood circulation, there by channelizing elimination of toxins from the body. The herbs in the medicated oils rejuvenate the tissue, improves skin texture and reduces body pain. The gentle strokes and the correct force on the pressure points transports you another world. I drifted into sleep for a short while. The oil massage was followed by 10 minutes steam and shower. The forty five minutes of the complete therapy left me feeling rejuvenated and so light, as if some weight was lifted off my back. Oil massage really works! Felt nostalgic of my childhood days, when mom’s daily ritual was to massage oil on my little brother’s body before bathing him. Soon after the bath, he used to sleep. 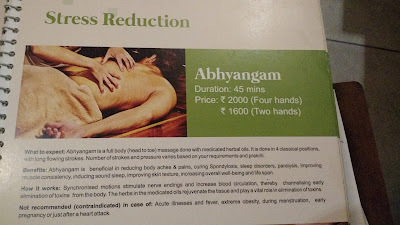 Touch therapy (in this case Ayurvedic massage) has been a traditionally used technique for good development of muscles and bones in kids. These days with so much stress and imbalances in life, Ayurveda plays a vital role in calming your senses and solve a lot of your health problems. Afterall as they say, health is wealth. At the reception, I was served a very refreshing green tea to end the session. The clinic has loads of products on display, each comes with specific benefits. I spotted MyDaily Health Drink, which I have consumed once and totally loved it! 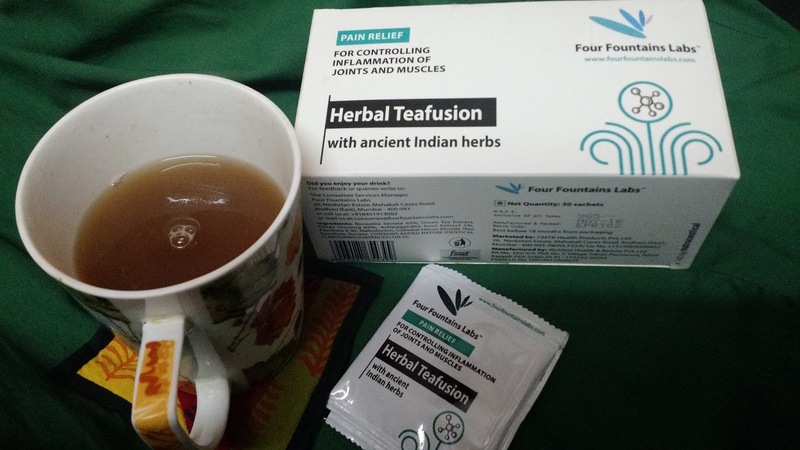 I bought a pack of Herbal Teafusion that claims to control inflammation of joints and muscles. Husband is having the same every day, since he often complaints of joint pain and fatigue. While the TeaFusion pack was being billed, Rohit explained how they find out the imbalances in the person’s dosha, based on stress level. Curiosity jumped out of me, wanting to see the machine that gauges stress. Well, it was a small device that is clipped to the right earlobe and connected to the software. Stress levels from 1 to 9 are high, 10- 18 is medium and further very less. Sadly my level was at 8. I suddenly feel the need to take deep breaths and meditate. The experience at NuAyurveda is wholesome and rejuvenating. I recommend this to all, especially corporate employees. 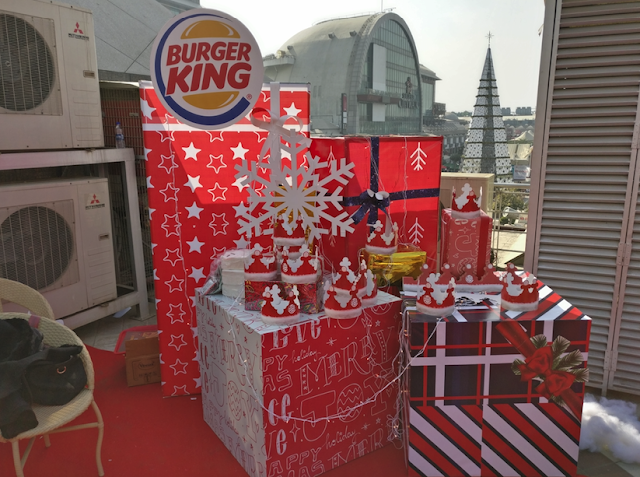 New Delhi, 17th December 2016: Burger King, organised a Christmas Carnival at Burger King, Select City Walk Mall, Delhi from 16th Dec to 18th Dec. 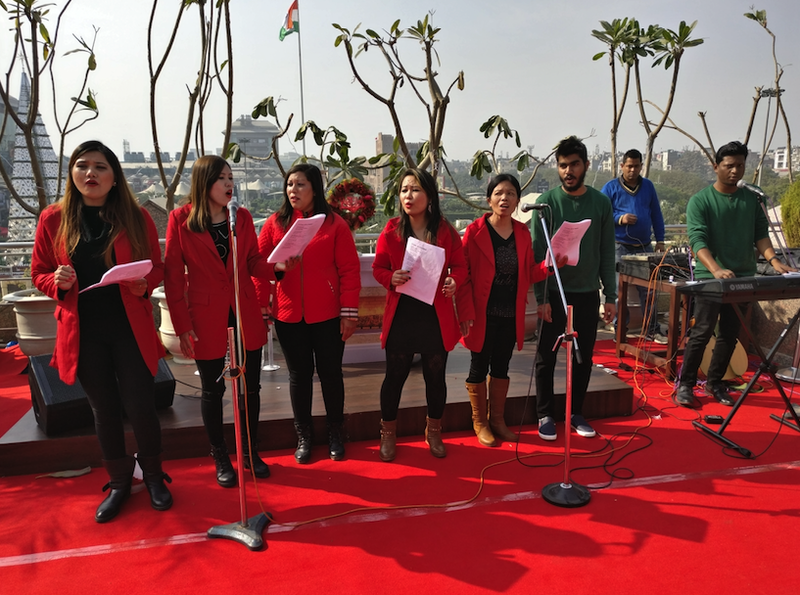 The same event would also be organized at Nehru Place outlet for 2 days, on 23rd and 24th Dec.
Burger King brings Santa in the town this Christmas. Burger King's very own Santa made an appearance giving away gifts to the children which added to the experience for the young ones. Apart from this the event had whole lot of musical entertainment, carols, along with hourly magic show. Carrying its promise to bring the best burger in the town, Burger King also offered a special meal package for people in the town. The celebration is happening from 16th-18th December in Select City Walk Mall, Saket outlet. 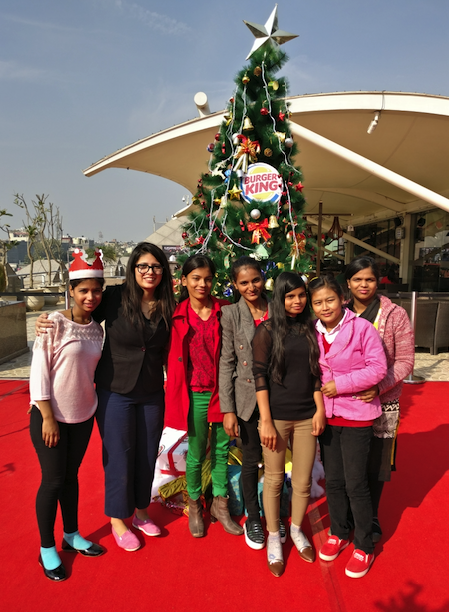 Burger King also took a special initiative to organize "Dine with Santa" for NGO kids from "Catalyst India Charitable Trust". The initiative gave the kids an opportunity to enjoy Christmas like any other kid. Talking about the celebration Cicily Thomas, Vice President, Operations and brand standards, Burger King said, "The whole idea of this Celebration is to let people have their own way of Christmas Celebration. With this Burger King also got the opportunity to play Santa this Christmas for NGO Kids. Burger King invited these kids in light of the Christmas season & spread the joy of giving." The event also facilitated the facility of NGO to showcase their talent in the form of Carols in Burger King. The kids enjoyed the best of burger in the town while enjoying the Carols, magic show. The 1st Burger King store launched in November 2014 in Delhi and since then there has been no looking back. The brand has a huge share in the U.S market and has successful in the Indian market as well. Christmas celebration with the underprivileged children, Burger King brings them joys and love for the season! A great initiative indeed! I did not want to get married because my parents wanted. Neither did I want to get married because the clock was ticking away. I wanted to get married only when I get the right person. But the big question was- How do I know he is right? Was there a universal criteria to judge men by their behavior or thinking? Or was there a questionnaire for all those prospects there? Wooh! It was indeed tough! The hunt for the right alliance began when I turned 25; just the age when parents want to see their daughters married. I being a rebel, rejected all alliances forwarded to me by my parents. How could I let them decide for my life partner? This was ONE decision I always to take on my own and not let anybody else control my destiny, even if they are my parents. Reeling under pressure and fed up of taunts from my panicky mom, I found myself searching grooms online! 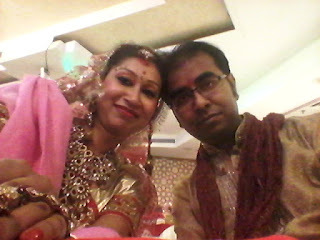 I created an online matrimony account, read profiles, chatted with few, made friends with few only under the condition to take some time in knowing them. I met at least twenty prospects. Sounds like a huge number yea? Excited and with heart fluttering over the first meeting nervousness, I met the first guy. A civil engineer by profession, the tall, good looking boy loved to debate. Soft spoken, intelligent and witty, I fell for him instantly. Things would have been nice only if his location factor was not in picture. His job required him to stay on the outskirts of Ahmadabad, whereas my career would have come to an end. I was unwilling to relocate to a remote village. He admitted he liked me and insisted to talk to my parents but I was tight lipped. I held back myself, oscillating between marriage and career. Eventually we drifted away from each other, only to receive news of his marriage to somebody else ofcourse! That was obvious and this lead to the end of a chapter "Mr X to Mr. Right". Saddened by my first experience of searching for Mr Right that went wrong, I continued the journey further. After-al, life is full of stumbling stones and you should never give up. interests and fitness consciousness made me feel an instant connection with him. He was talkative, I was the quiet one. We both loved reading and once again I felt he was THE guy I waited for! The happiness was short lived when he suddenly went out of touch. 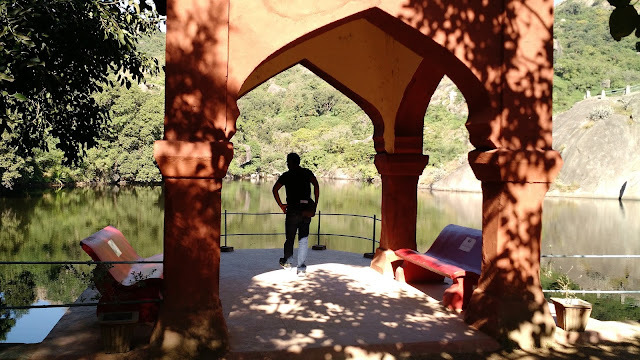 Post a gap of two months Mr. X reconnected with all real-sounding reasons like a relative's accident in US, father unwell, travelling and so on. Thinking to give him another chance, I accepted his all excuses.But I should have known! I should have thought how could a media person not have a social account? With a push from my sixth senses, I fished out his social media account. I should have known, when a guy refuses to add you in his friend list, something's not right. I should have known he was fooling me and would have fooled many other girls. He was engaged, waiting to get married in next few months. Between the time of his engagement and marriage, he'd thought of having fun hanging out with prospective brides! 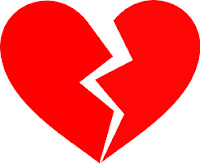 Upset and disappointed , all I could do was end the brief stint of so-called-love I felt with him. You can imagine what all I went through. I cried over my wrong selection. Uggh!!! One of the other guys I met, had great sense of humor and loved traveling. But he confessed he would marry the girl chosen by his mom. What the hell he was doing on the matrimony website then? Another guy's father called me, praising his good son and passed on his number to me. Thank God I did not talk to Sonny dear. In few SMS that we exchanged, he told me how he ran away from his hometown just because marriage did not interest him and how he does drugs each day. My stars saved me from a drug addict! Another Mr X rejected me because I am vegetarian. So, what was he? A man eater? There are endless stories which continued for some time before the final chapter. Dejected and hopeless, I met another prospect. Just like other guys I had the same feedback for him. He was polite and well mannered (all guys are polite in the first meeting). We watched a movie, ate lunch together and called it a day. I decided to know more about him and dated him for a while. He was not the typical protective or possessive type who would open the car door for me or ask if I knew cooking. He respected my decision of pursuing career post marriage. He was the only guy who asked if I knew any tact of self defense. "Because husbands or cops cannot fly to the mishap sites, so ladies should to be able to protect themselves before help arrives", he said. Wow! Now that was impressive. Time flew and we became bonded well. He loved English songs which he used to play while driving. Once while dropping me home, I was surprised when he played Ghazals in car. When I asked him the reason for the change, he blushed! He had downloaded Ghazals for me :-) I found it cute. Secretly I had my fingers crossed. While discussing the way we wanted to get married, I revealed my thoughts. To get married like a princess is any girl's dream but I wanted a simple ceremony in the company of close ones and not spend lavishly. I wanted no loan or huge expense for show off in wedding. To my surprise he agreed. He was totally cool with the idea of saving money for future than spend extravagantly for guests who do not come to help in grave hours of need. My respect for him multiplied that day. The warmth, honesty and space that he gave in the relationship was extremely comforting. His sense of responsibility and vision for future was praiseworthy. There was no reason for me to reject him. He called me one day to discuss something important. He wanted me to buy a health plan for myself and an insurance for parents. He was preparing me for emergency, which often goes neglected. I recalled my professor's debate topic during MBA tenure - "A perfect husband is one who prepares his wife for widowhood". This topic had raised many eyebrows but was worth thinking about. A shudder passed through me as he spoke about the insurance schemes. With welled up eyes the realization dawned upon me that HE was indeed MY Mr. Right. Within 7 months of dating Mr. X, we tied the knot in January 2015 and became my Mr. Right. 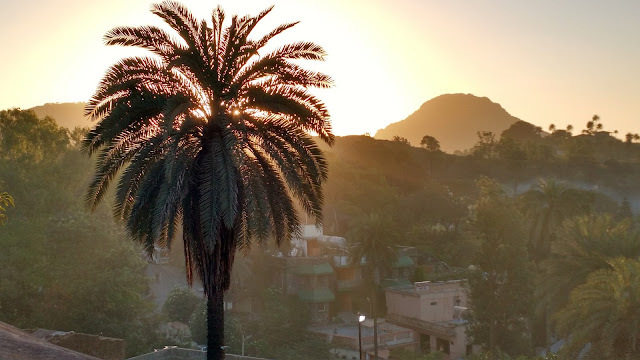 Mount Abu is one of the most beautiful and enthralling cities in Rajasthan that offers you adventure and relaxation at the same time. Surrounded by surreal hills and abundance of natural beauty, this quiet little hill station is a favorite spot for honey moon couples or short vacations with family. 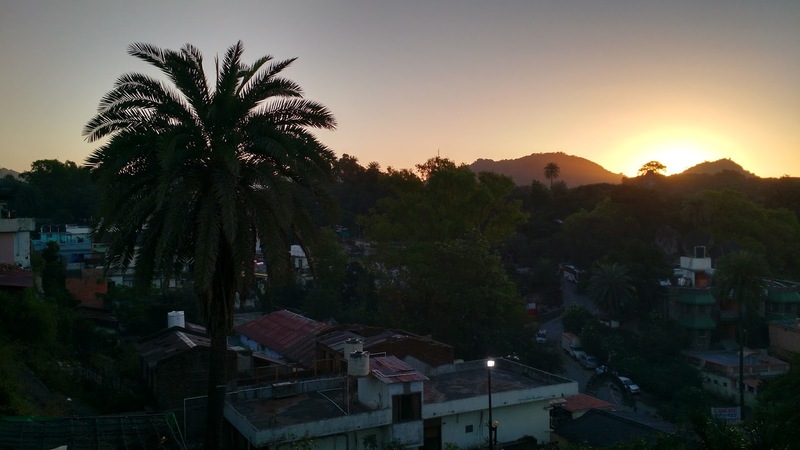 Located 163 km from Udaipur and 233 km from Gujrat, Mount Abu has a mixed culture influence of Rajasthan and Gujarat both. Here are few tips and must do’s while planning a trip to Mount Abu. 1. 1. Don't miss the sun rise- Mount Abu is known for its spectacular sunrise. Usually it’s the other way round that people like sunsets. But here for me the experience was different. 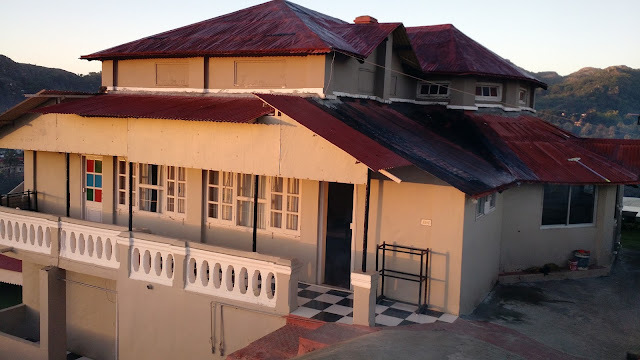 Our hotel Udaigarh Heritage Retreat was located on an elevated road which gave us a nice vantage point. 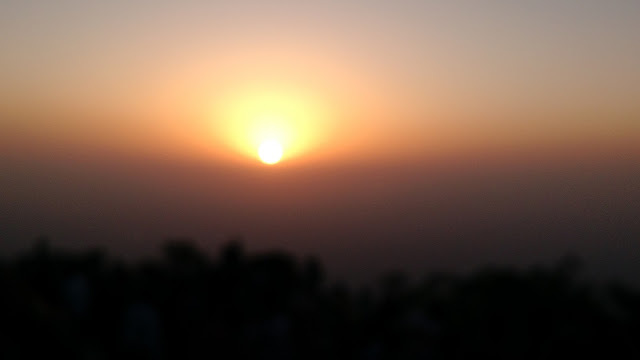 The rocky hill right outside the balcony where we stood upon, was a perfect location to click sunrise. Oh boy! I am speechless. The pleasant October weather makes it the most recommended time to visit Mount Abu. The chill in the air caresses you gently as you watch the Sun rise behind the mountains and paint the sky in golden hues. 2. 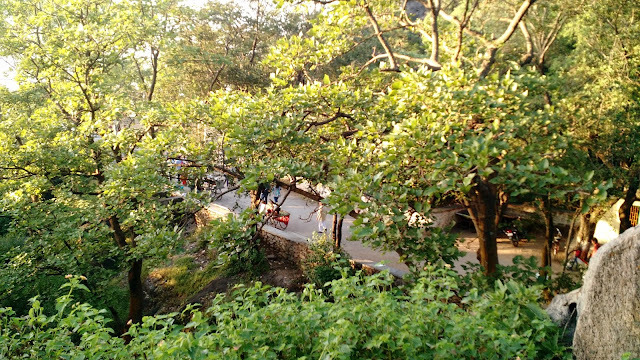 Rent a bike- The best mode of transport in Mount Abu is rented vehicle. Bikes are rented at Rs 300 per day and Cars around Rs 500-1000. From authorised agents to pan waalas, almost all shop keepers rent two wheelers. From Honda Activa to Bajaj Pulsar, they have it all. They keep your DL as security while you enjoy the day out on two wheelers. In case your two-wheeler breaks down or troubles you, the shop keeper would be just a call away. The authorized agents might just refuse to rent bikes in the middle of the day and say that booking a bike should be done at 8 am only. However, walk a little further and every shop keeper will ask if you need a bike. Make sure you fill the tank with petrol. (Ofcourse you pay for it). Since Mount Abu is a small place, sightseeing on two-wheeler is most suggested here. All you need is a DL. 3. 3. 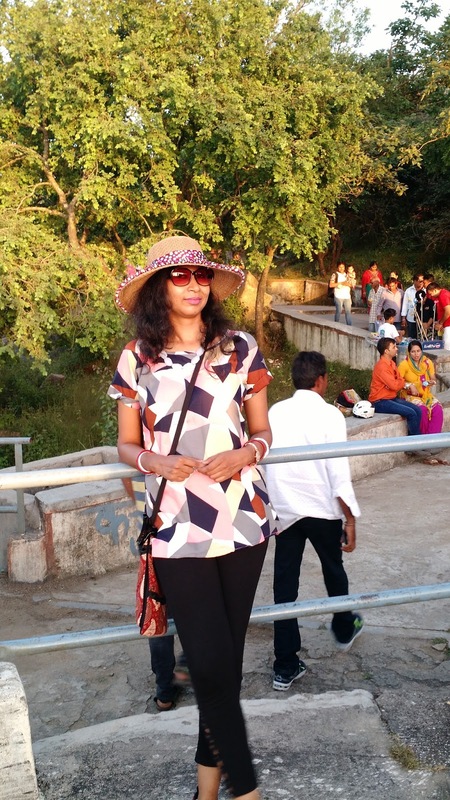 Do visit Dilwara Jain Temples- The 1000 year old temple can put Taj Mahal to shame! It is gorgeous. Every nook and corner boasts of architectural prodigies. Built on marbles, the temple is dedicated to Jain Gods and leaders. 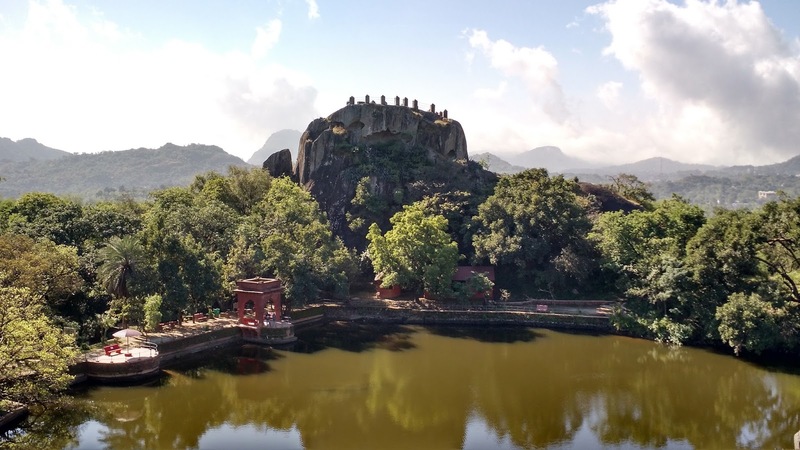 The whole premises houses a cluster of temples built in different eras. 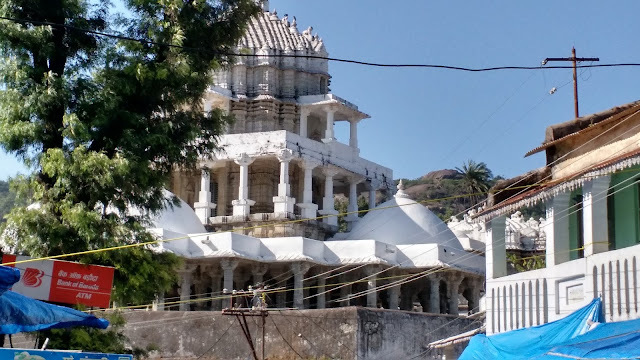 The main complex has temple with sculptors of Jain Gods in a row. Few enclosures have preserved aesthetics from ancient times that were excavated. 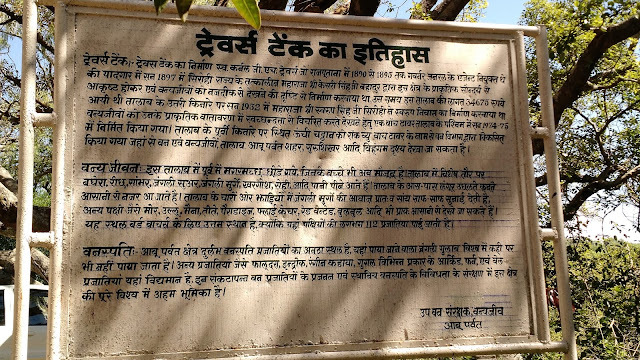 The temple premises is open to public 12 noon to 5 pm. Camera and mobile phones are not allowed inside. Perhaps that’s the only turn off where you wish for a camera! The priests would tour you through the temples narrating the history and facts of temple. 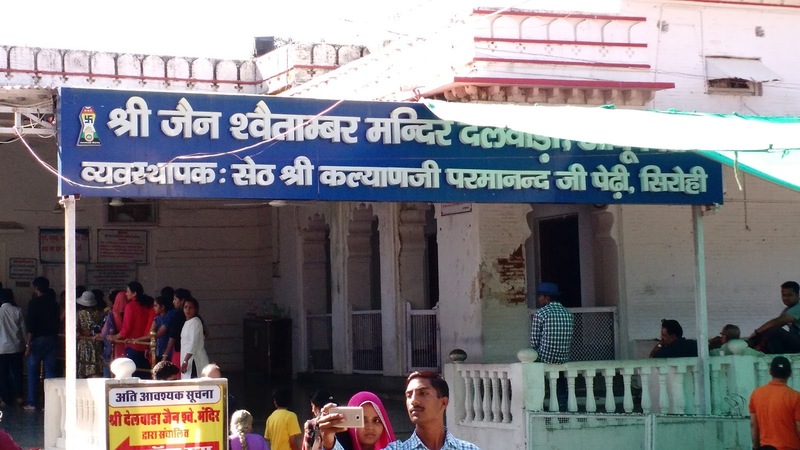 The temple is run by the local governing bodies with Jain clan, and not under ASI, hence has minimum renovation or commercialization. Run solely on charity, the temple is still intact the priests would ask for voluntary donation for maintenance of temple. 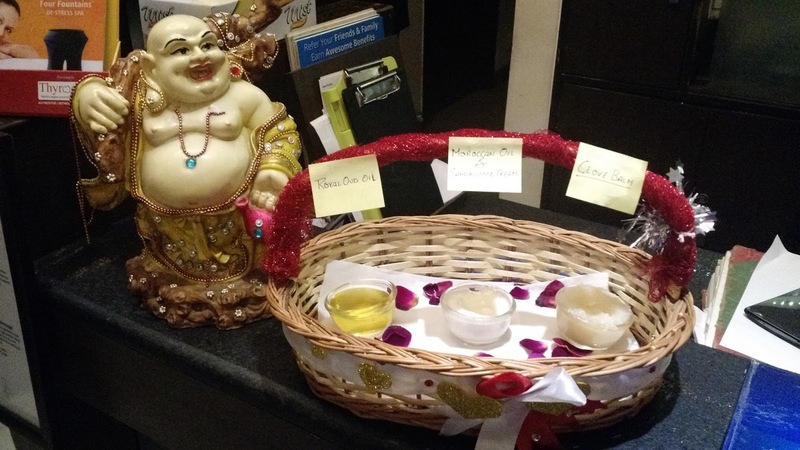 Guests do not mind shelling out some money for the noble place. The comparison of TajMahal and Jain Temples by the priest bears a testimony to the fact of the latter’s unmatched beauty and exquisiteness. 4. 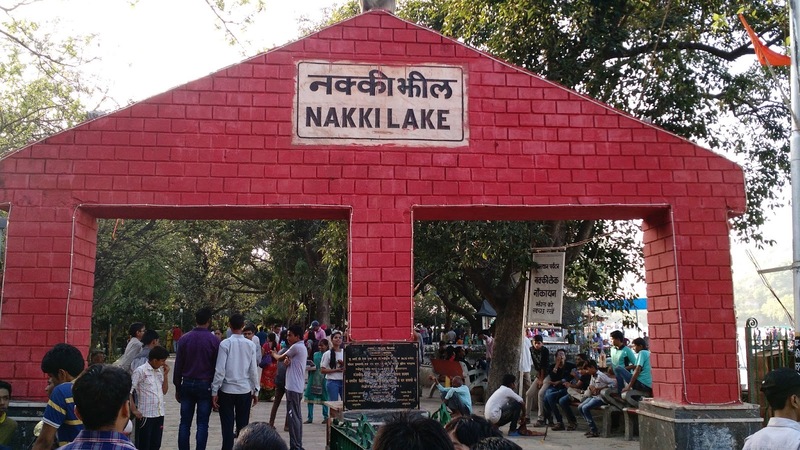 Nakki Lake, Sunset Point – The lake draws a lot of crowd since this is only lake and is highly commercialized. 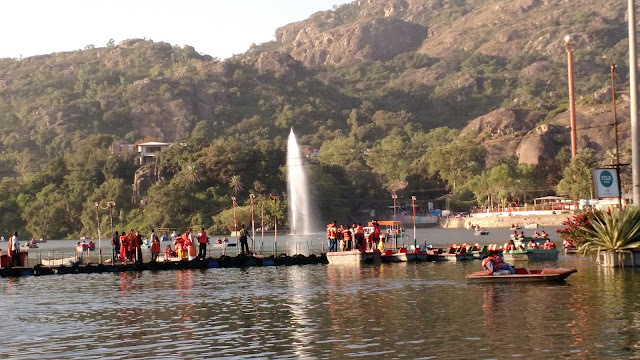 Not only boat men, but small time vendors around the lake also earn well owing to huge footfall. From eating stalls and magic shows to toys for kids and fish food, you will find everything here. 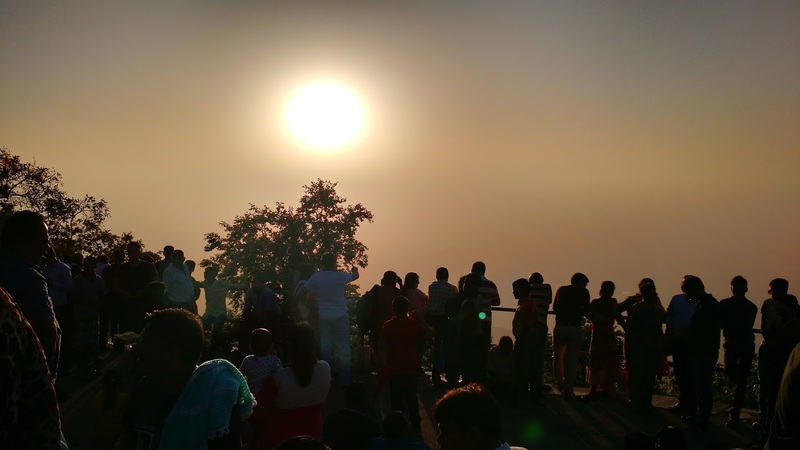 Sunset point, not very far from Nakki Lake is a hotspot every evening. 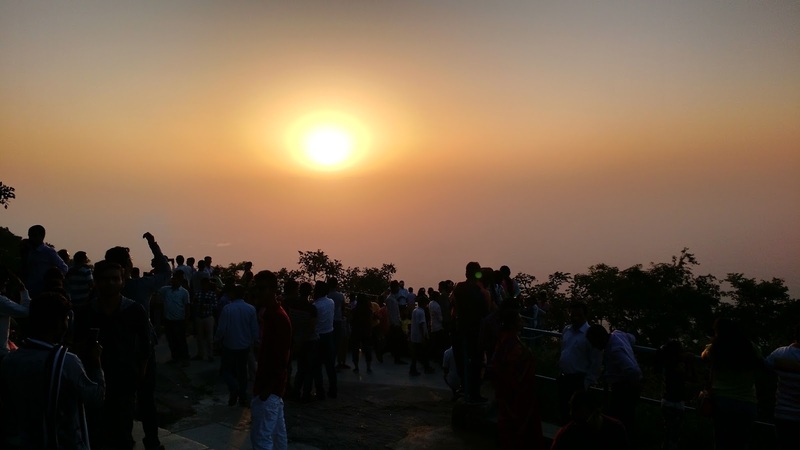 As the name suggests, this place is to view the setting sun behind the mountains. You can ride upto the parking spot beyond which no vehicles are allowed. You either walk, mount a horse back or hop onto a manual cart which they call helicopter. The kilometre long road is steep and tests your endurance big time. 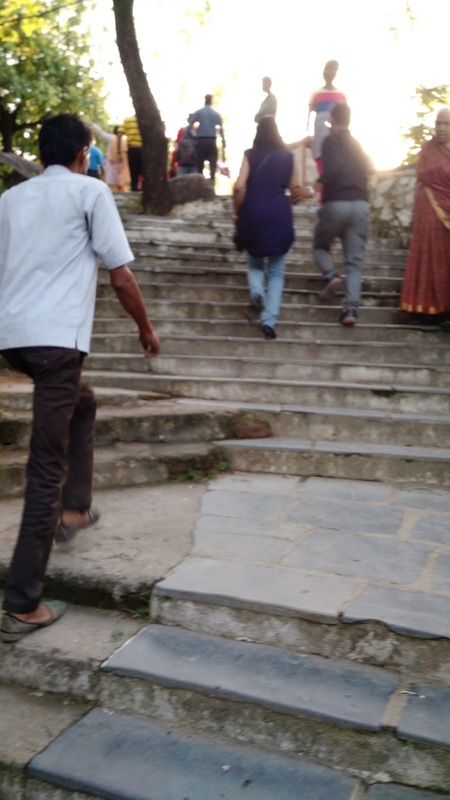 Once you reach the spot, take a flight of stairs to a hilly area. 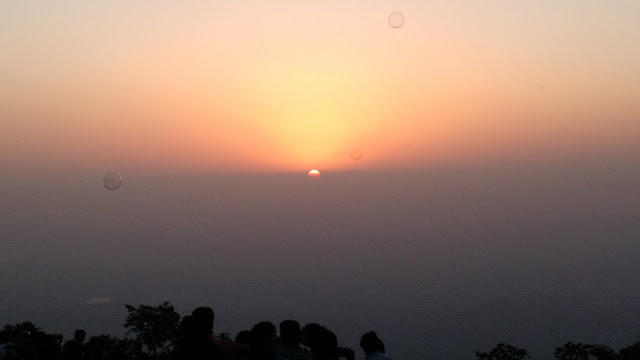 That is Sunset point where Sun seems to be close and you soak in its warmth. Mind you, the place would be very warm during summers. 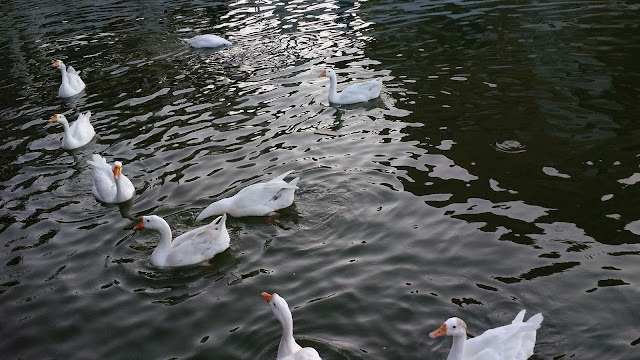 We could escape the heat because of the pleasant weather. The place is overcrowded and littered. Don’t expect peaceful or undisturbed ambiance here. 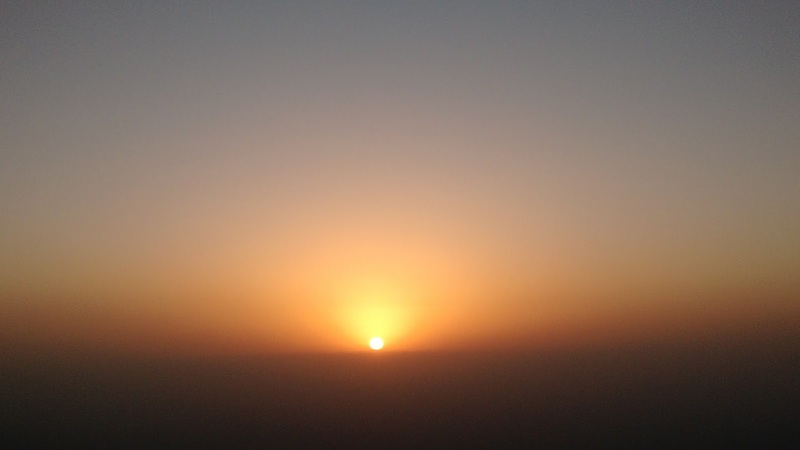 The serenity is only in the sky when the Sun changes its position. 5. Trevors Tank- This place is for the adventure lovers and wildlife junkies. 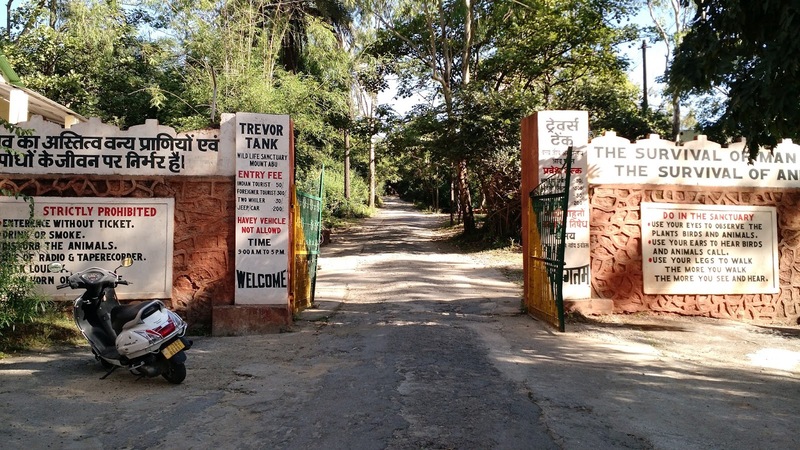 Trevor’s Tank is a breeding lake for crocodiles in the middle of a forest. Spooky enough? I don’t know why is it called a tank! It’s a lake and the crocs do come out for breakfast. 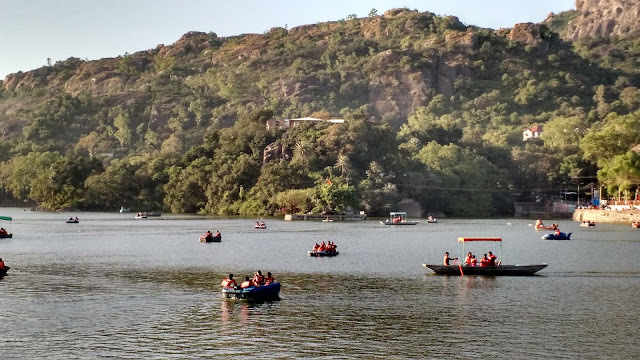 Pay 30 INR per person as entrance fees, another 30 for the two wheeler and ride into wilderness. The bumpy, broken, raw road running through the forest is a little more than a kilometer. You gotta be really careful while driving on this road! I was scared of carnivores waiting to prey on us. The silence of the forest is deadly. After the kilometer ride, park your two-wheeler at the lake entrance. Watch fish and occasionally crocs in the murky water. The care taker of the area revealed there are five crocs in the lake and they are visible during morning when they are fed. Damn! We were late to reaching there? The place turned noisy with people coming in and the chances of spotting crocs turned bleak. Obviously, more the noise, more the reptiles avoid showing up. Only a single croc was visible at quite a distance basking in the Sun. Meanwhile as we consoled ourselves watching beautiful fishes and enjoying cool forest breeze, a large croc suddenly appeared in the water, getting people excited. Looked like it hated the paparazzi and quickly disappeared under water. There is a nice vantage point built on a hill in the forest. Only the strong hearted can go there seriously. 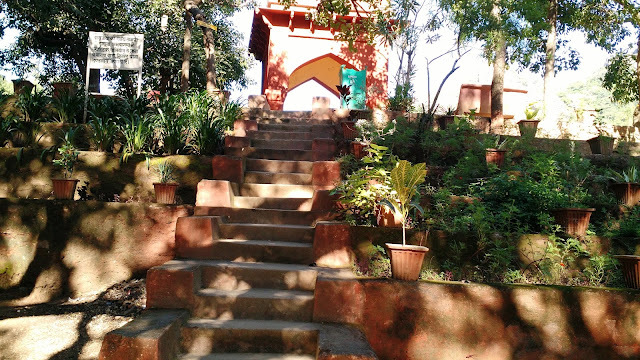 The isolated staircase shadowed by overgrown trees is frequented by langurs. Usually they never harm you, but you can never rely on wild animals’ instinct. While husband went to the edge of the vantage point to take pictures of the lake and the croc, I stood far behind him on a raised platform taking panoramic shots. My heart skipped a beat when I turned around and saw two mongoose like creatures on the stairs. Thankfully they crept away before I could react. Gosh, I cursed my adrenaline rush. What if a panther or big cat suddenly attacked us? We were no way prepared! I urged husband to leave the place after the goosebumps moments. There are tourist places in Mount Abu like Guru Shikar, which we gave a miss. Guru Shikahr is 18km away from Mount Abu. 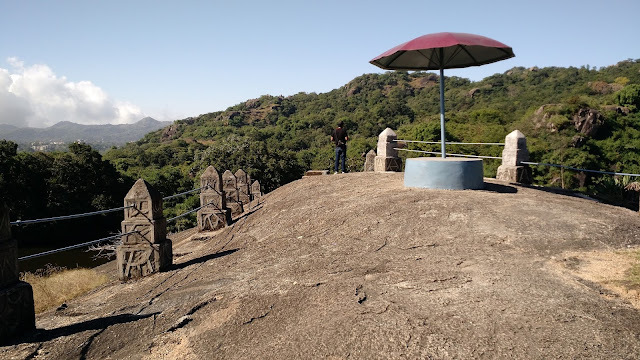 Its hill top with a solar observatory (not open for public). The thought of travelling that far to a hill top did not excite us, hence we let it pass. You can visit places like Peace Park, Bramhakumari Ashram, Adhar Devi Temple as well. -Always carry something warm. 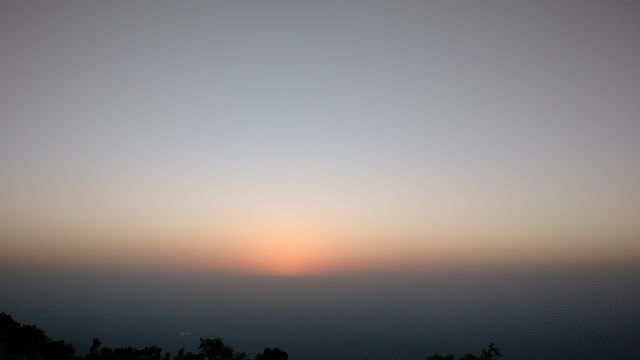 Remember this is a hill station and weather turns chilly during evenings. -Dont miss the super delicious daal baati churma and bajre ki moti roti. 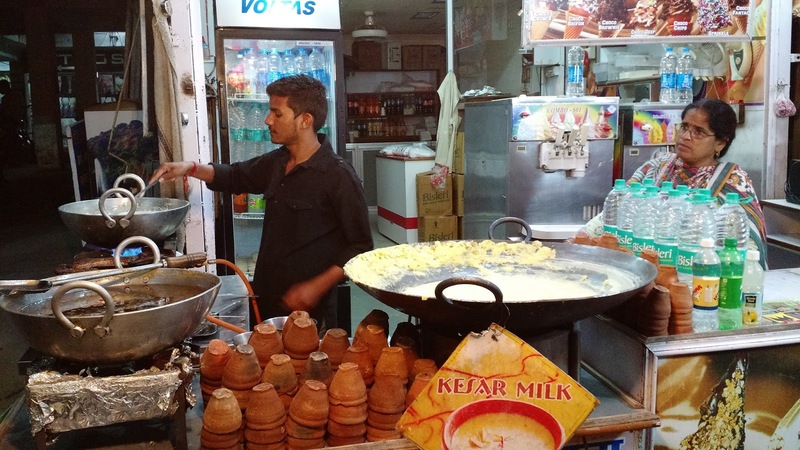 -In the market, gorge on warm kesar milk. It has less of sweet content and great aroma. -While renting two-wheelers, please wear helmets. Road safety is essential anywhere. 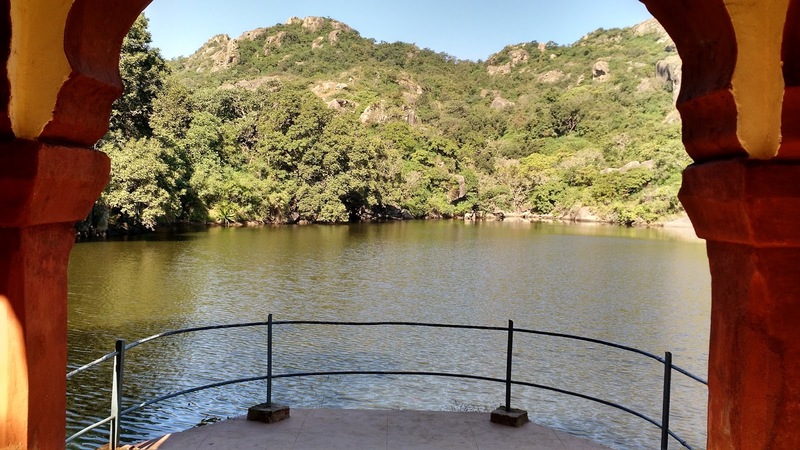 -Mount Abu is a plastic free area. Respect the sanctity of the place for God's sake. -Beware! 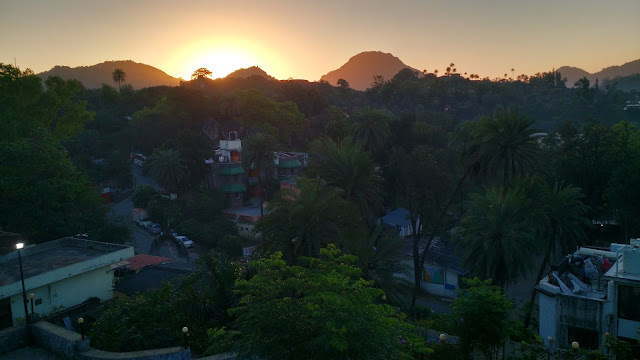 Mount Abu has a huge CRPF station. Any criminal activity or miscreants would not be spared. Our hotel was located opposite to the CRPF station. 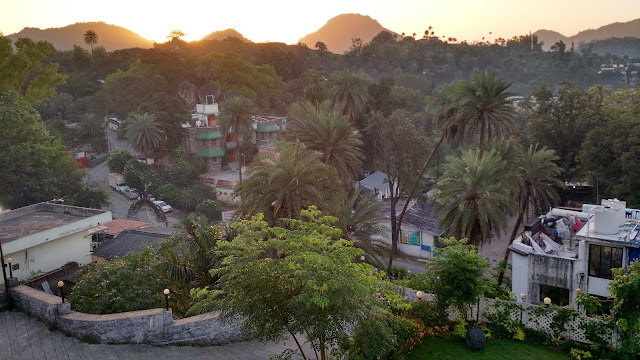 -When you enter Mount Abu, at the toll the private bus would charge Rs 10 per person as toll adding fifteen more minutes to the waiting time. Well that was upsetting. Wasn't toll supposed to be a part of the ticket fare? Plus something like should be collected from passengers in advance, not on the spot!